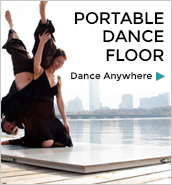 Do you have a dance class in the Boston area you’d like to add to the site? Complete the form below, and we’ll contact you if we have any questions. Please understand that classes will be added to the site at the sole discretion of Boston Dance Alliance. Class postings expire after the last class date you include. To ensure class is posted to our site as long as your class is running, please include all class dates. Please provide a phone number in case we have questions. This number will not be published.